This Instructor / Company Instructor Agreement is by and between CPR Seattle/CPR Classes USA and the "Instructor / Company Instructor". CPR Seattle/CPR Classes USA operates an American Heart Association Training Center (the "Training Center") approved by the American Heart Association ("AHA"). The Training Center shall approve and support training operations developed by individual instructors (“Instructor”) operating independently as their own business. The Training Center shall also approve and support instructors working for an employer, business, or other community organization (“Company Instructor”) that wishes to develop a training program within the organization (“Organization”). Approval allows the Instructor/Company Instructor to conduct training sessions in accordance with all AHA guidelines, subject to the terms and conditions of this agreement. Acceptance of an Instructor/Company Instructor for alignment and the continued affiliation with the Training Center is at the discretion of the Training Center and the Training Center Coordinator(s). Maintain current AHA guidelines and information. Provide policies and procedures that meet and/or exceed the requirements of the AHA for courses and administrative paperwork. Provide on-site, quality control review visits for Instructors/Company Instructors on an as-needed basis at the discretion of the Training Center Coordinator(s). Review visits may include inspection of equipment, teaching materials, and the evaluation of instructor(s) to ensure compliance with AHA and Training Center guidelines. Instructors/Company Instructors hereby acknowledge that the Training Center's review of teaching materials is limited to the determination of whether such materials are in accordance with AHA guidelines. CPR Seattle/CPR Classes USA does not make any representations or warranties regarding the use or effectiveness of the training methods or materials used to conduct or document such training. Report all necessary training information as requested by the American Heart Association, subpoena or CPR Seattle/CPR Classes USA. Provide AHA course completion cards, examinations, and instructional updates as required by the AHA in conjunction with the AHA Instructor Network and following all Training Center policies. Provide one Instructor Portal account per Instructor, or one Instructor Portal account per each Organization which employs one or more Company Instructors. An Organization with more than one Company Instructor shall assign a "Program Coordinator" to oversee training operations, act as the sole liaison with CPR Seattle/CPR Classes USA, and ensure compliance with AHA polices and this agreement. The Program Coordinator must be a current AHA instructor unless otherwise approved in writing by the Training Center. Individual Instructors must liaise with CPR Seattle directly; no other representatives may communicate on their behalf. The Instructor/Company Instructor shall maintain strict adherence to all rules and regulations of the AHA and the Training Center related to course offering, instruction, delivery, testing, and remediation, as well as course documentation, reporting and archiving of documentation. The Instructor/Company Instructor will be designated by the Training Center as Basic Life Support (BLS) Instructor/Company Instructor or Heartsaver (HS) Instructor/Company Instructor or ACLS Instructor/Company Instructor. The Instructor/Company Instructor will not provide training programs that are not designated in this agreement. Current Instructor Manual(s) and instructor tool kits, including DVDs (or streaming access), for each discipline the Instructor/Company Instructor is authorized to teach. Current copy of the CPR Seattle Dispute Resolution Policy. The Instructor/Company Instructor shall maintain all copies of written exams for each discipline authorized in a secured manner. Only current credentialed AHA Instructors/Company Instructors on file shall have access to AHA exams during non-testing sessions. The Instructor/Company Instructor shall attend only CPR Seattle/CPR Classes USA-a­pproved instructor renewal training, provider courses (as required for renewal), course updates, and instructor reviews at the CPR Seattle/CPR Classes USA office unless specifically agreed to in advance and in writing by the CPR Seattle/CPR Classes USA Training Center Coordinator. Renewal requirements may exceed those outlined in the AHA Program Administration Manual. Current Instructors/Company Instructors aligned with other AHA Training Centers may assist in the course but may not be the primary course instructor. The CPR Seattle/CPR Classes USA-aligned Instructor/Company Instructor is solely responsible for ensuring that instructors aligned with other Training Centers are of current instructor status by physically examining the instructor's AHA Instructor certification card prior to the start of each course. A copy of this instructor card will be submitted with course documentation. All Instructors, including those aligned with other Training Centers, must be documented on the Course Roster and in the Instructor Portal. 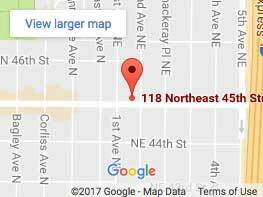 It is the responsibility of the non-CPR Seattle/CPR Classes USA aligned Instructor to report this course to their primary Training Center. CPR Seattle/CPR Classes USA reserves the right to disallow an instructor or group of instructors, not aligned with the Training Center, from participating as Instructors/Company Instructors in Training Center Courses. All courses must meet the time requirements and agenda found in the Instructor Manual for the specific curriculum. All Instructors/Company Instructors involved in any way with any course must be current AHA Instructors. The Instructor/Company Instructor shall maintain, have access to, and have present at courses all equipment necessary for course instruction as outlined in the AHA instructor manual(s) and course lesson maps for the specific course(s) being taught. Equipment ratios outlined in the AHA instructor manual and course lesson maps must be adhered to. All equipment shall be clean, safe and maintained to remain in good working order. 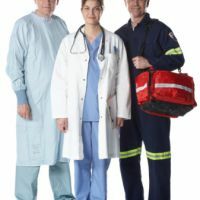 Simulating the use of equipment during an AHA course without physically having the required training aid or device is strictly prohibited. Example: Simulating the use of an AED without having a physical AED Trainer present or simulating breathing without actually putting breath into the manikin. The Instructor/Company Instructor is permitted to provide authorized AHA training only within the United States. Any training outside of the United States must be pre-authorized by the AHA via notification to the Training Center. The Instructor/Company Instructor may be required to work with an International Training Center (ITO). Pre-authorization may be a lengthy process. The Instructor/Company Instructor is encouraged to give the Training Center a minimum of three (3) months advanced notice. Upon course completion the following documentation listed below shall be input into the Instructor Portal within seven (7) calendar days of course completion. All documentation is to be scanned and uploaded in PDF format unless alternate arrangements are specifically agreed to in advance and in writing by the CPR Seattle/CPR Classes USA Training Center Coordinator. The name of each student completing the course. The card type (including optional modules) of each student completing the course. The course date, course location, and course duration or start and end time. Names of additional AHA instructors. A copy of the instructor card must be scanned and uploaded to the Instructor Portal if the instructor is not aligned with CPR Seattle. 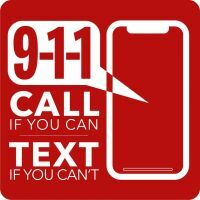 CPR Seattle/CPR Classes USA reserves the right to require certain Instructors/Company Instructors to obtain student phone numbers and addresses. Copy(s) of non-CPR Seattle/CPR Classes USA-aligned Instructor cards (if applicable). Manikin cleaning/disinfection records consistent with the manufacturers recommended procedures. When an Internal Training Program has more than one Company Instructor, the Program Coordinator may keep all Company Instructor records in one central file accessible to all Company Instructors. Certification Cards (eCards) will be sold to the Instructor/Company Instructor once all correctly completed course paperwork has been uploaded to the Instructor Portal unless an alternative agreement is approved by the Training Center Coordinator in advance, and in writing. The Training Center will issue certification cards (eCards) and notify each student via email from the American Heart Association. The Training Center will only issue Certification Cards to an Instructor/Company Instructor with a current instructor card who has signed (agreed to) this Agreement. The Instructor/Company Instructor name listed on the card must be an instructor aligned with the Training Center. The Instructor/Company Instructor will issue cards to students within (7) days of course completion. The Training Center may revoke the privilege of the Instructor/Company Instructor to purchase certification cards (eCards) in advance of courses if any of the above procedures are not followed and/or if course administrative paperwork is not received within (7) day of course completion as outlined in section 4. The term of this Agreement shall be for continuous period; beginning on the date listed above and remain in effect unless otherwise terminated as outlined below. Either party shall be permitted to terminate this Agreement, at any time, upon sixty (60) day written notice to the other party. The Training Center shall be permitted to terminate this Agreement immediately in the event the Instructor/Company Instructor fails to perform their obligations as set forth in this Agreement. This Agreement shall automatically terminate upon the termination of the Community Training Center Agreement between CPR Seattle and the AHA. Prior to separation the Instructor/Company Instructor will turn over all previous three (3) years training records (as outlined above) and return all unissued certification cards (eCards) in their account. The Training Center will not provide a refund or credit to the Instructor/Company Instructor for these cards. The Instructor/Company Instructor hereby agrees to indemnify and hold CPR Seattle/CPR Seattle USA harmless from any and all claims related to business practices, or injuries/exposures by any of the trainees or Instructors and further agrees to indemnify CPR Seattle/CPR Classes USA from any claim, liability, suit, cause of action or expense related to the use, by any of the trainees or Instructors, of any methods or techniques learned in the Training Session. The Instructor/Company Instructor will adhere to the advertising, marketing and internet rules and regulations as set forth in the Program Administration Manual without exception. The Instructor/Company Instructor will not duplicate any part of the AHA DVDs, online content, Textbooks or Manuals. All internet web sites will follow the AHA internet guidelines. All advertising including internet, media or print must follow the AHA guidelines set forth in the most current Program Administration Manual and shall be pre-approved by CPR Seattle/CPR Classes USA. The Instructor/Company Instructor is strictly prohibited from using AHA logos as outlined in the Program Administration Manual. Company Instructors are required to complete a billing agreement with the Training Center. CPR Seattle/CPR Classes USA will only allow one accounts payable billing contact per organization unless arrangements are made in writing in advance of this Agreement. Only a current Instructor/Company Instructor is able to order AHA materials and certification cards from the Training Center. The Training Center Staff will verify information related to the Instructor/Company Instructor for each order. The Training Center will ship AHA materials solely to the Instructor or the Organization of the Company Instructor unless authorized on a per-order basis by the Training Center. Shipping charges will be applied per shipment. Tax-exempt Instructors and Organizations must submit tax-exempt information to the Training Center. Organizations with one or more Company Instructors will have the ability to order with a purchase order number if approved on the Billing Agreement Form. Purchase order reference information must be provided at the time of the order. An invoice from the Training Center will be sent to the email address provided by the Organization. Any Instructor/Company Instructor with an outstanding overdue balance will not be able to order additional cards or materials until the balance and late fees are paid in full. An Instructor/Company Instructor with outstanding course rosters and paperwork will not be able to order additional cards until class rosters are entered into the Instructor Portal. All sales are final. No refunds will be made for orders received even if the AHA packaging is unopened. CPR Seattle/CPR Classes USA hereby acknowledges that the Instructor/Company Instructor is independent of CPR Seattle and nothing in this Agreement shall be deemed to create employment, agency, joint venture, partner or any other arrangement between the Training Center and the Instructor/Company Instructor. CPR Seattle/CPR Classes USA reserves the right to edit, add, omit or change any portion of this agreement at any time with notice supplied to the Instructor/Company Instructor. The Instructor/Company Instructor will immediately notify the Training Center of any personnel changes within their administration that are involved in the card ordering or documentation process, changes to mailing address, email address, internet web sites or other contact information. Upon notification to the Instructor/Company Instructor from the Training Center of such relationship the Instructor/Company Instructor will immediately cease efforts to solicit business.